Lesson 4: Optimization for Substance materials. 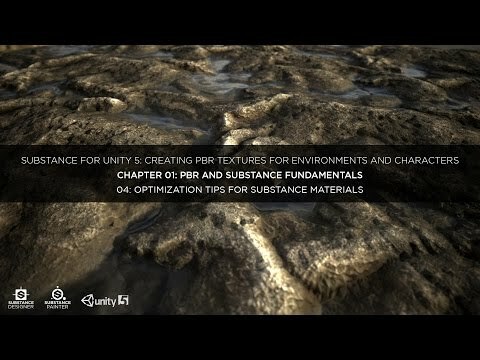 This lesson will cover optimization tips for Substance materials in Unity. This includes pointers to the Allegorithmic documentation and detailed analysis of optimizing resolution. Support for this topic is provided by Allegorithmic. Please click HERE for the support topic on the Allegorithmic forum. Complete project files can he downloaded HERE. The Performance Optimization Guidelines for Substance Designer can be found HERE.